I might’ve mentioned once or twice- the beach is my happy place. And I am always looking for ways to bring the beach into our house (in Saipan, and then to use as beachy, Saipan-y reminders when we move back stateside). 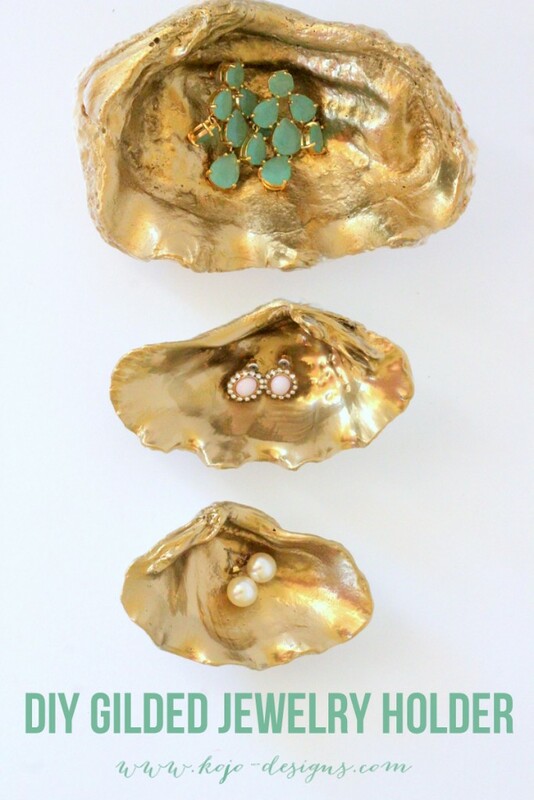 These gilded jewelry holders made from large shells are the perfect beachy home accessory. 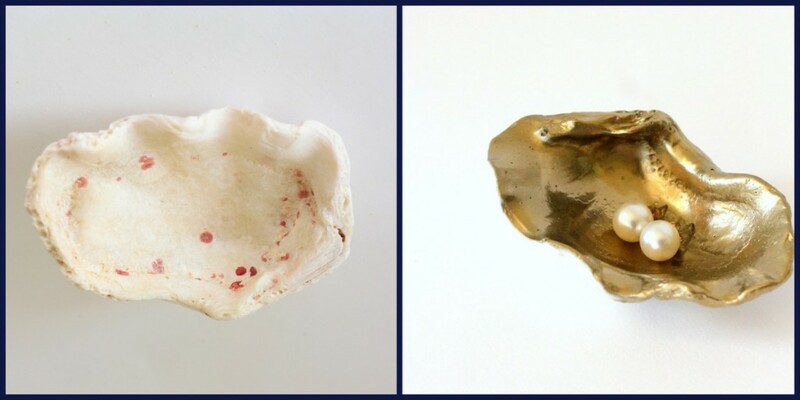 When Piper and I stumbled upon these big clam shells (the internet tells me they are called Tridacna Elongata- you can buy them online if you don’t have a beach nearby), we just knew they needed to be made into jewelry holders… And then after we made them, we just knew we’d be giving them as gifts to all of the beach lovers we know! 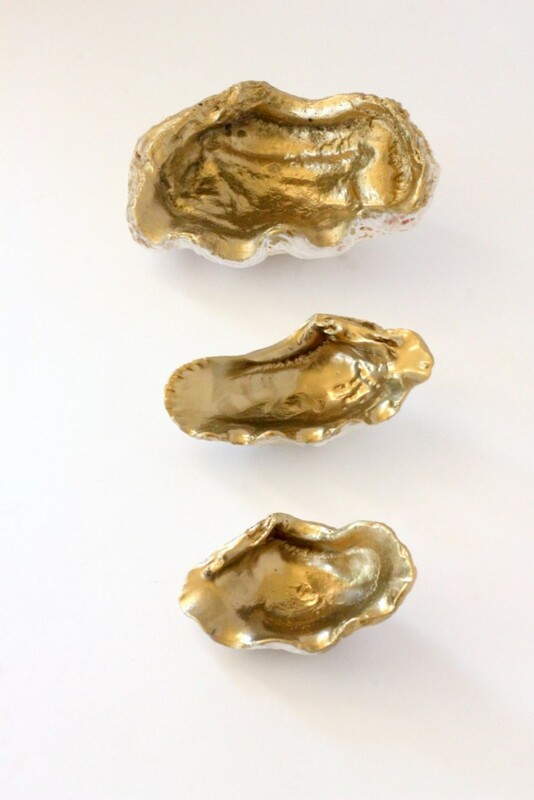 Wouldn’t these make a cool Christmas gift? 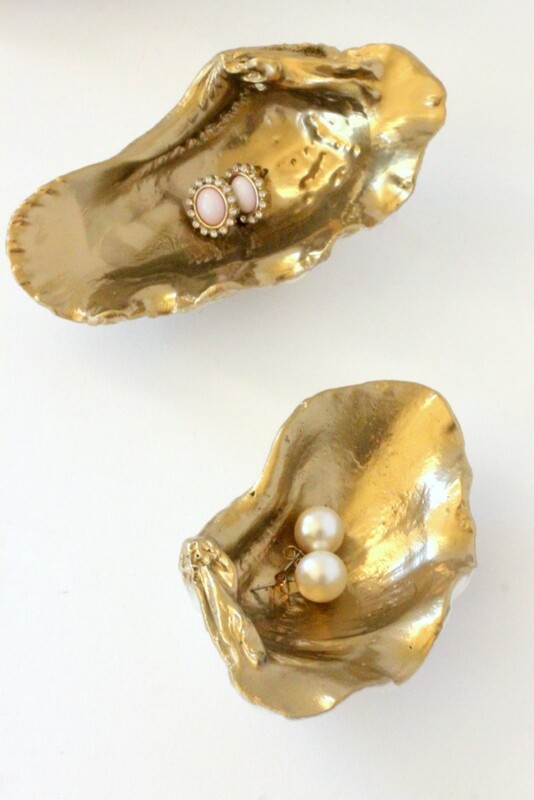 To make the jewelry holders, we brought the shells home and bleached them overnight. 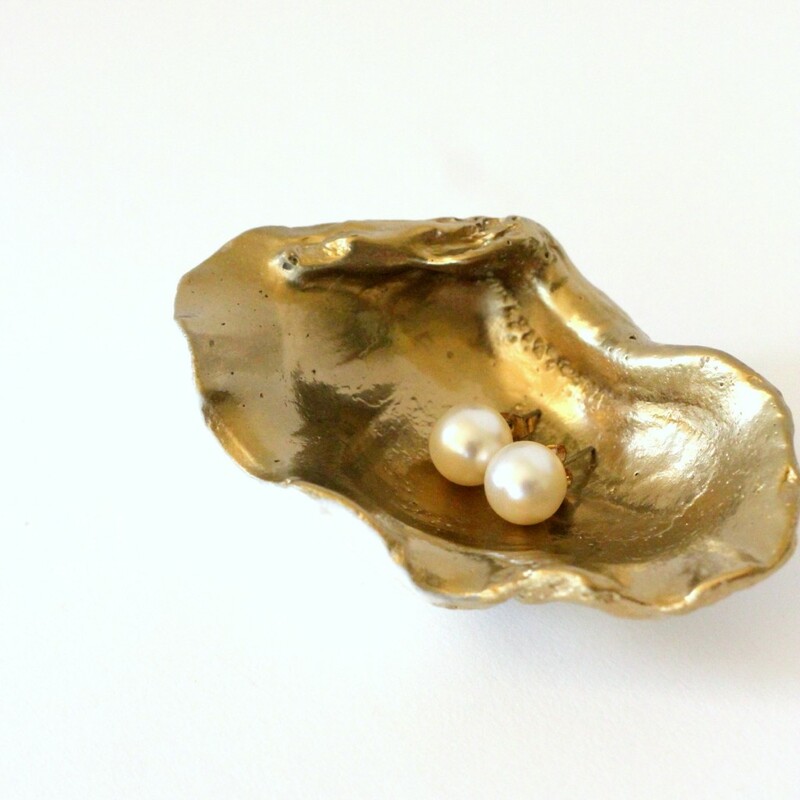 After we let them dry out, we spray painted the top side gold (the edge of the shell makes a natural border, so no need for taping). 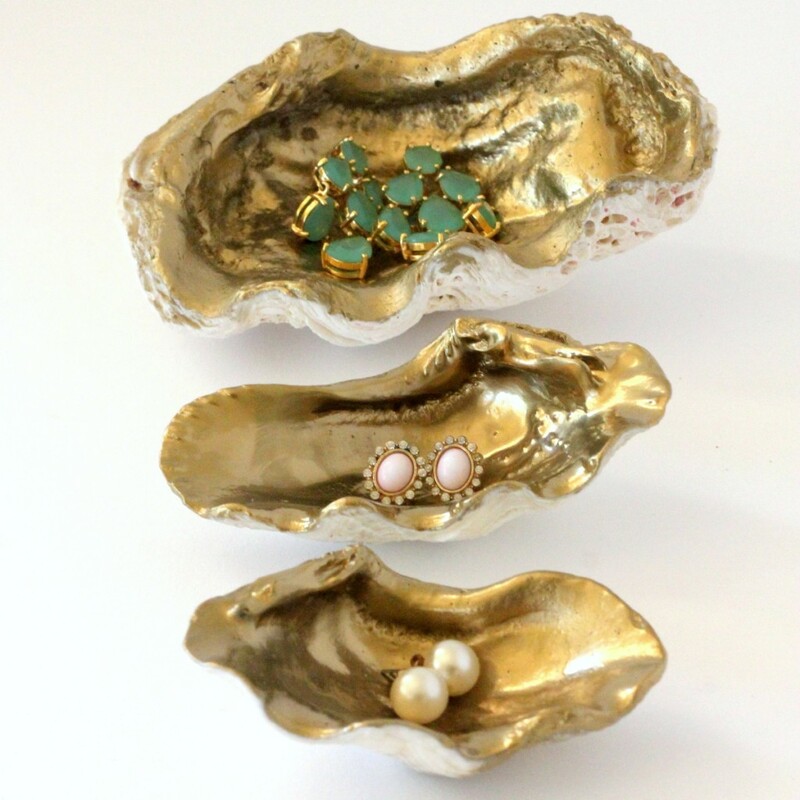 Isn’t it the greatest little jewelry holder (and so easy to put together)? Definitely add this one to the “make for all the beach-lovers I know” list.